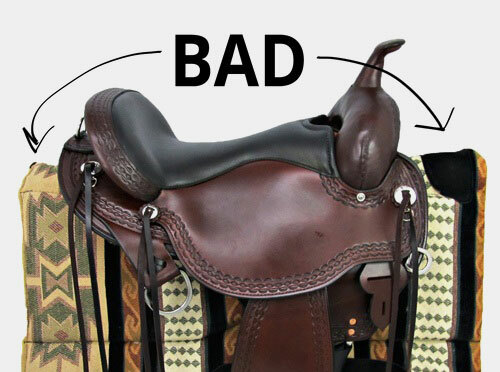 As a general guidline, we've found that it's best to add an additional 2"-3" to the length of your saddle. Any less and you risk sliding over your pad on uneven terrain. 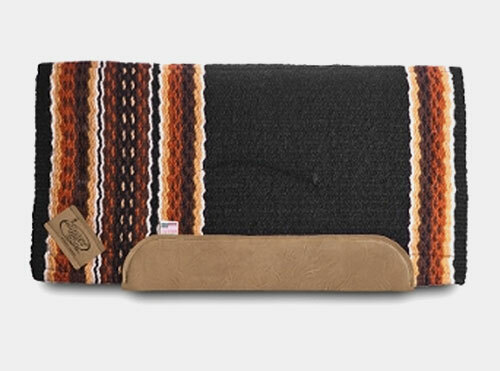 Any more and you're forced to deal with an unweildy saddle pad. The photos to the right show a good fitting pad vs an oversized pad. 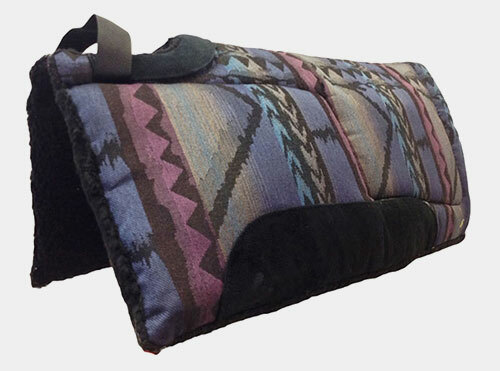 One of the most common saddle pads is the pad made with a fleece bottom. The fleece is often either a synthetic fleece or actual wool or sheep fleece. 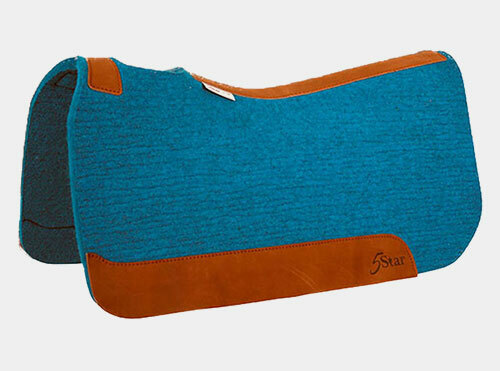 This is a soft material that is also under many saddles. The wool fleece has a bit more cushion than synthetic fleece but it does not usually have the longevity of synthetic fleece and often becomes matted and compacted quicker. There are chemicals in the horse's sweat that breaks down genuine fleece and if not cared for properly, will cause the fleece to break down and become unstable. 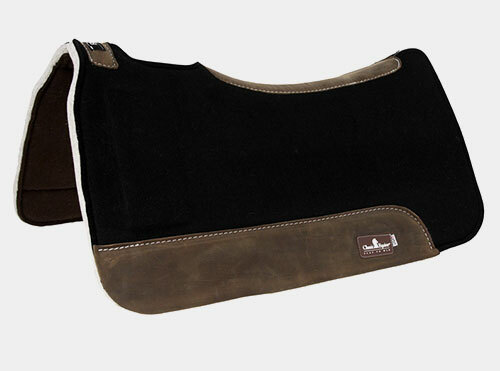 The fleece saddle pad is usually the least expensive saddle pad. 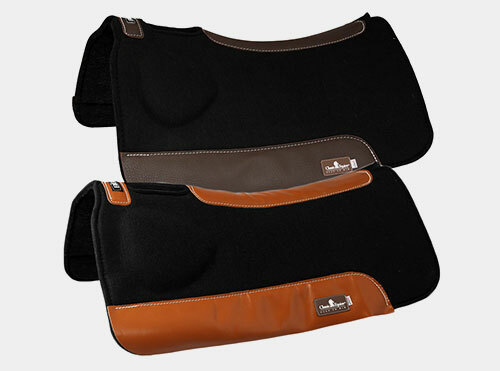 The felt pad is compressed wool that provides many benefits over a standard fleece pad. One of the greatest benefits is the wicker affect the compressed wool has. Felt has the ability to draw sweat from the horse and while doing this; it transfers the heat and dissipates it in the felt. ¾" to 1" compressed wool is also a great component for shock absorption. 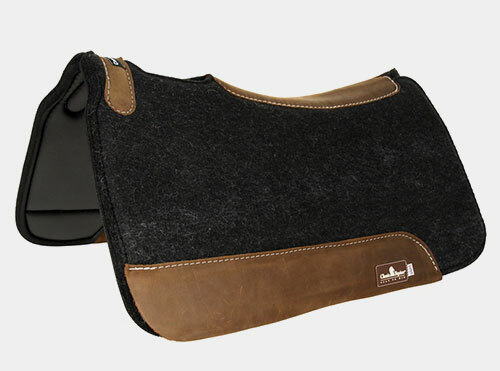 An ill-fitting saddle is not something to put on your horse, but the wool pad does alleviate pressure points some saddles may cause. 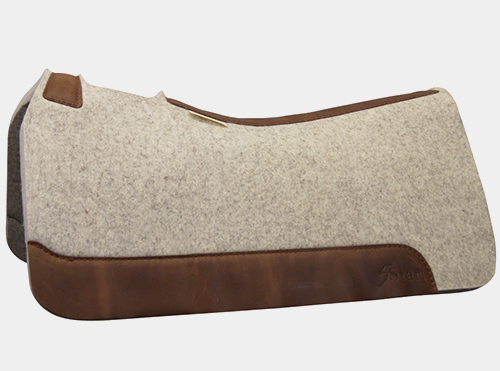 Over all, a felt pad is often a very good and possibly one of the best choices for a saddle pad. 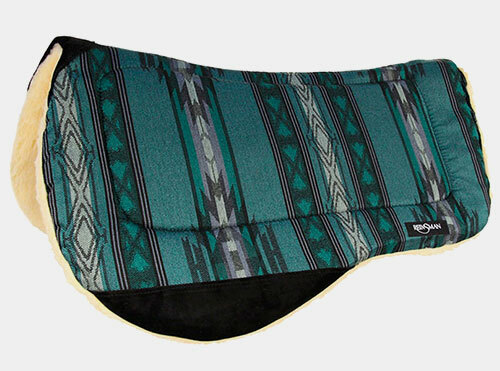 A new type of saddle pad to hit the market is the saddle pad with a neoprene bottom in a waffle type pattern. 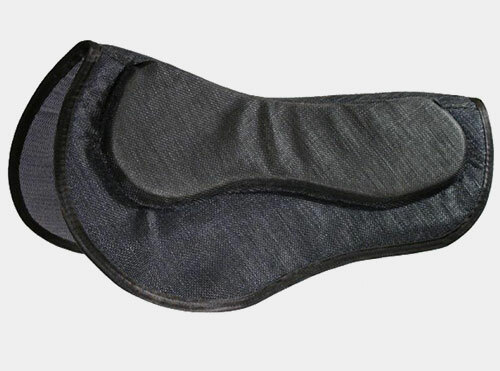 Neoprene is a type of rubber that is waterproof among other benefits. 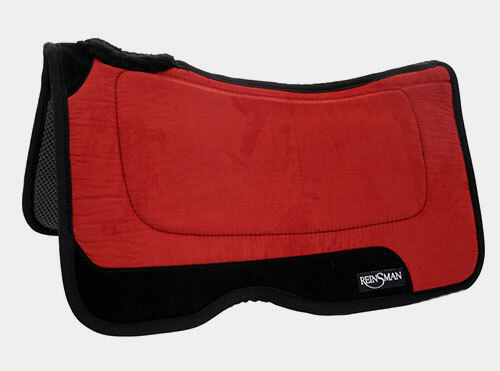 Neoprene bottom pads are water resistant and are quite easy to maintain and keep new looking. 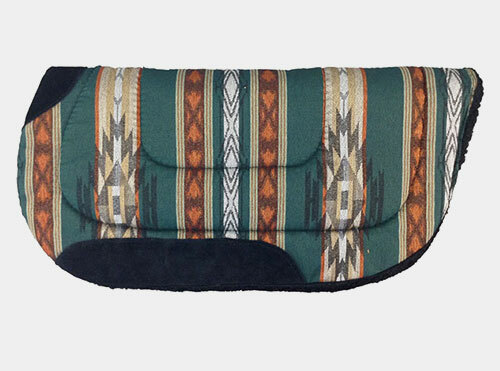 The waffle bottom allows the material to breath which helps cool the horse during the long trail rides. It also provides a very nice cushion to help resist impact. One advantage of these pads is the sticky affect. 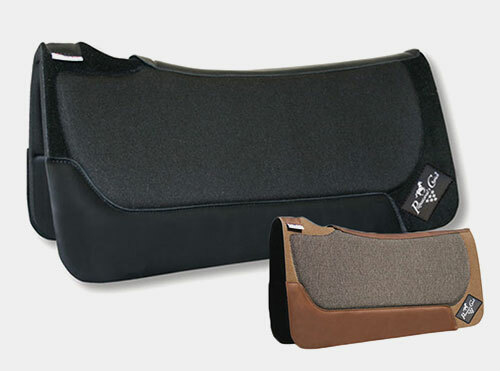 These saddles greatly reduce the tendency of some saddles to slide or roll. 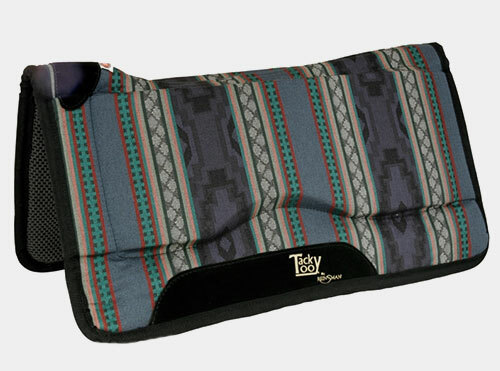 Closed Cell Foam is also a newer technology in saddle pads and often consists of molded foam wrapped in a Nylon cover. The foam allows excellent distribution of weight and provides very good shock distribution. The foam often molds to the back of the horse for better contact. The mesh materials the foam inserts are wrapped in provide nice air flow to help cool the horse. Although the airflow is very good, the foam does not have the same wick effect of felt pads. Closed cell foam is denser than open cell foam, allowing it to keep its shape better while still allowing a cushioning effect. The cells are tightly woven together, making it resist absorbing moisture. 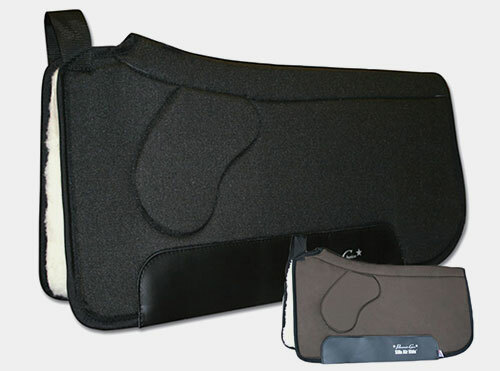 If you buy a closed cell foam pad you will find it comfortable, firm, and anti-bacterial. However, closed cell foam is not as breathable as other options. Gel inserts are a gelatin like substance that is a solid but has some characteristics of a liquid. The gel will disburse an impact and then regain its original shape. 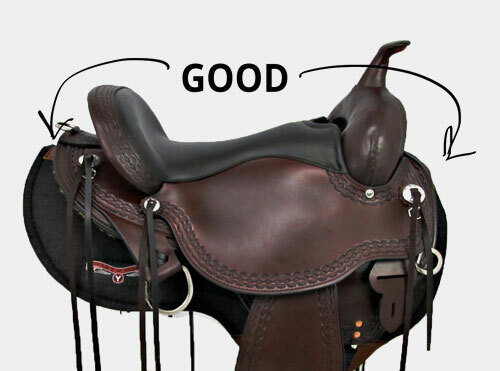 These are placed where contact between the bars of the saddle and the horse should occur. It is often between layers of the pad. If the pad is a felt type pad, the inserts are usually buried within the felt. The gel inserts are heavy and will cause the pad to be heavier and are usually expensive items because of the process to insert the gel sections into the pads. 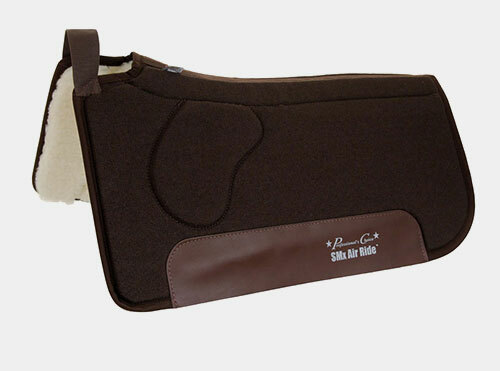 When they are inserted into the pad, they enhance the shock resistance giving the horse a more comfortable fit. 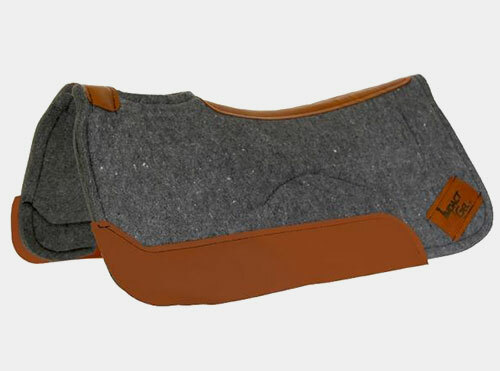 A contour saddle pad is designed for the horse that has the slight dip in their back or those with more prominent withers. The front part of the contour will relieve pressure from the withers. 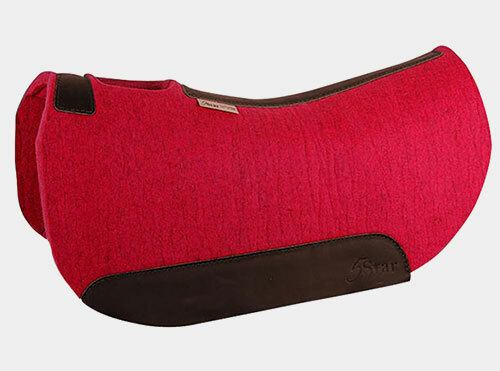 The straight saddle pad is for the round or mutton wither horse or horse with a flat back. 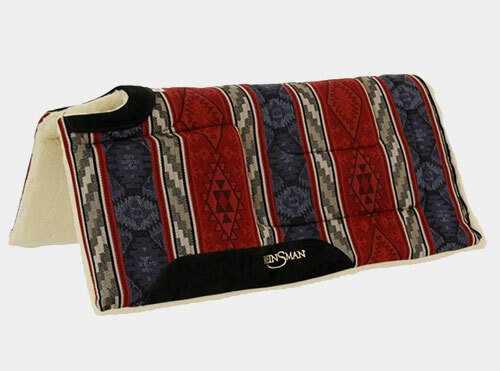 The normal or straight saddle pad can be used on horses with normal a normal wither definition. 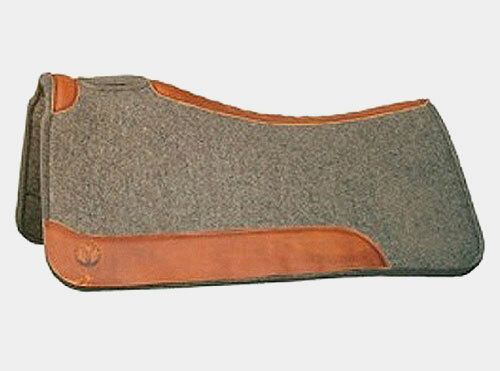 The round skirt saddle pad, which is sometimes referred to as a contest saddle pad, is often used on horses with short backs or for saddles that have a round skirt. 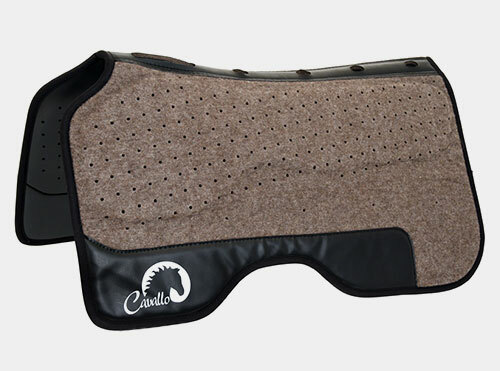 A cutout saddle pad is a pad that is cutout at the top where the horses withers would be. 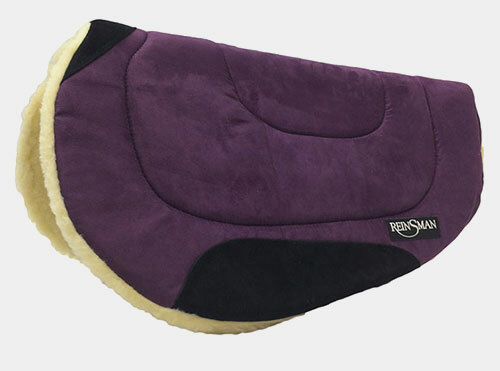 These are helpful in relieving the pressure a pad may have when resting on the withers. 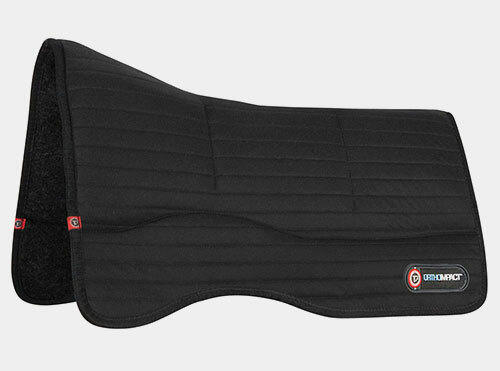 A cut back saddle pad is a pad that actually has a section cut way for the withers to provide relief. There is actually no material on top of the withers with these pads. Great for full wither relief. 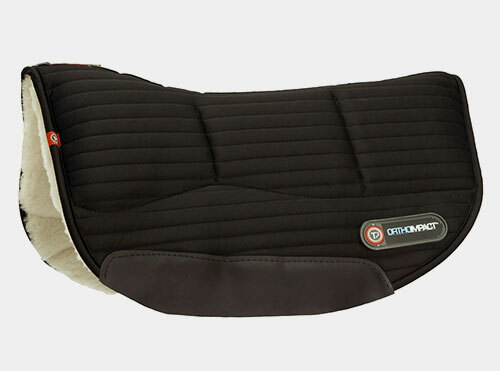 Professional's Choice Orthosport Saddle Pads are specifically designed for strong-shouldered and prominent-withered horses and have a 1/2 inch breathable core, plus a second layer of padding in the dished out areas behind the shoulders and along the spine. 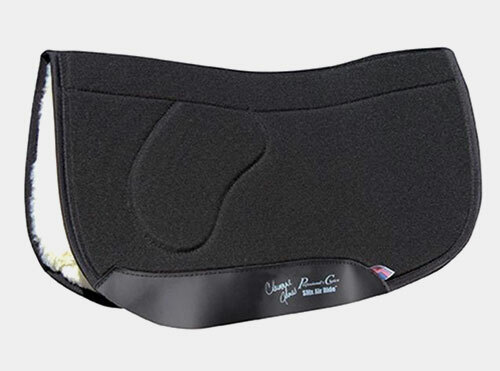 This extra padding helps to achieve a better saddle fit and assists in the even distribution of pressure across the entire back, especially relieving pressure from the highly susceptible withers and kidney areas. 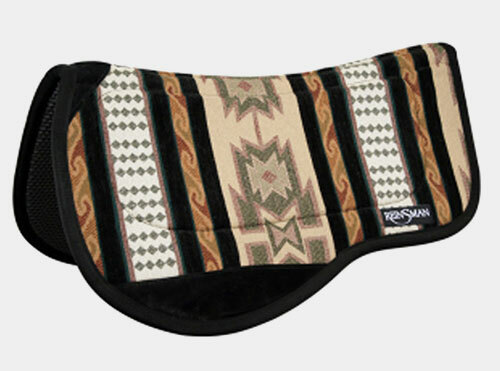 A swayback saddle pad is a pad that has a gradual increase in thickness towards the center of the pad. This is for a horse that is considered swayback or a horse with such prominent withers that it creates a dip in the back. This often fixes problems such as 4 corners of the saddle tree putting pressure on the horse, rather than the pressure spread across the tree bars. 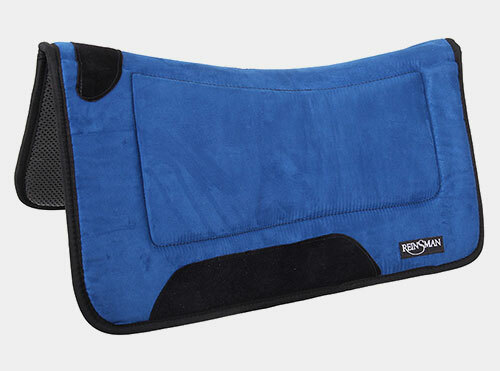 A built up saddle pad is useful for a horse with high or prominent withers. It is built up along the center, raising the saddle up off the withers.